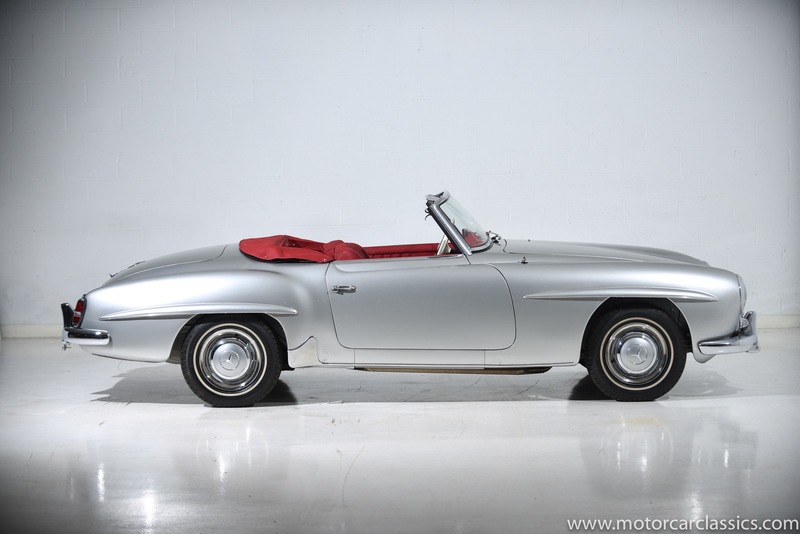 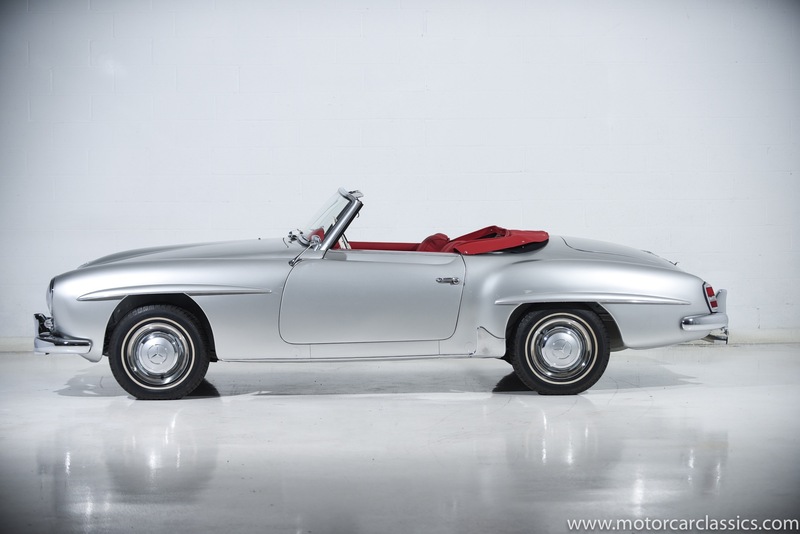 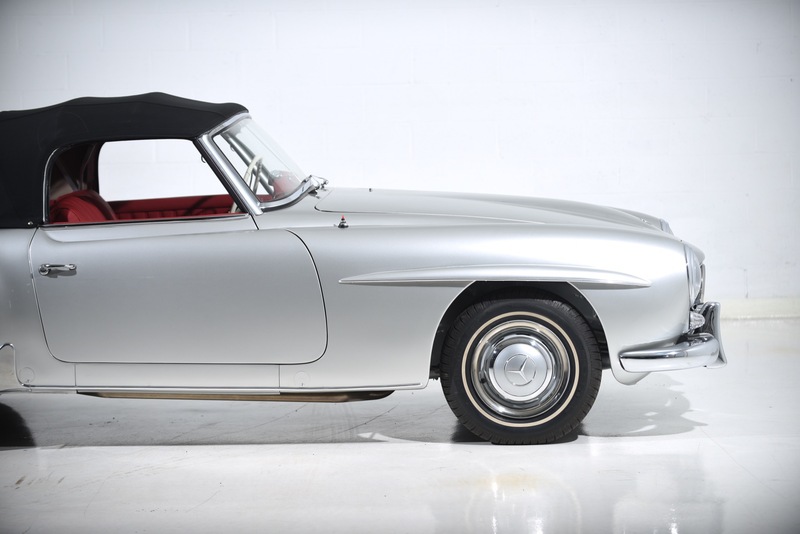 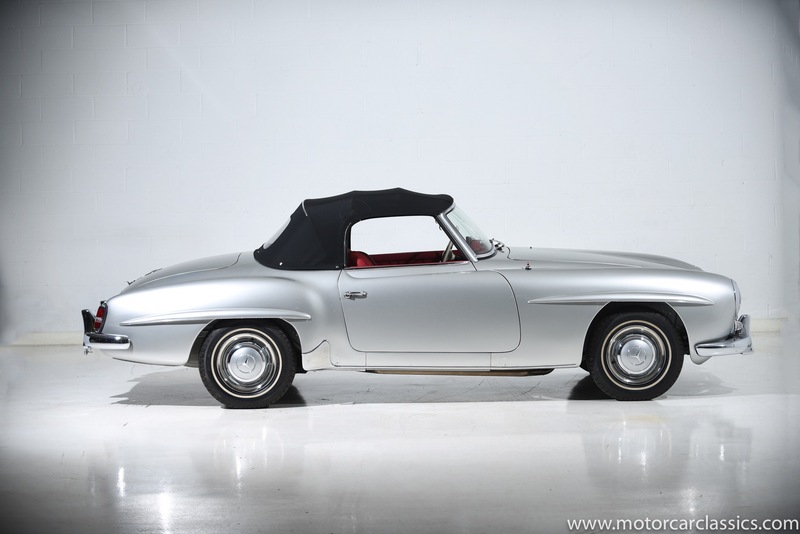 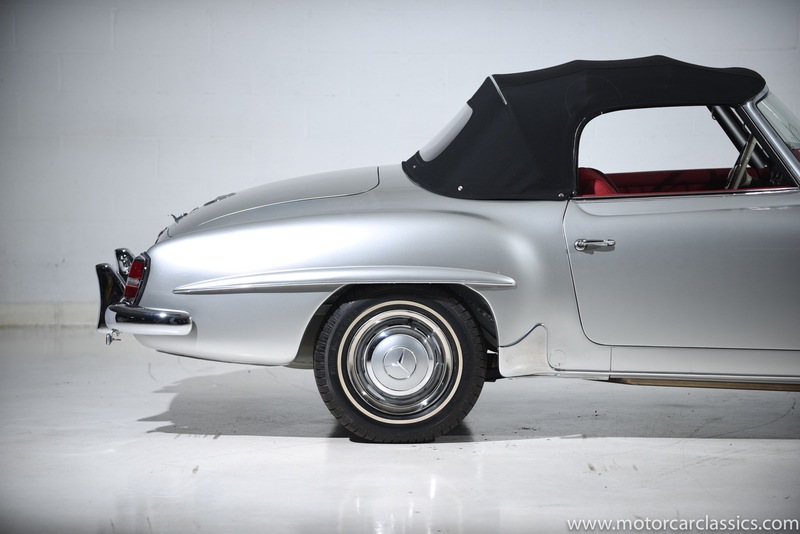 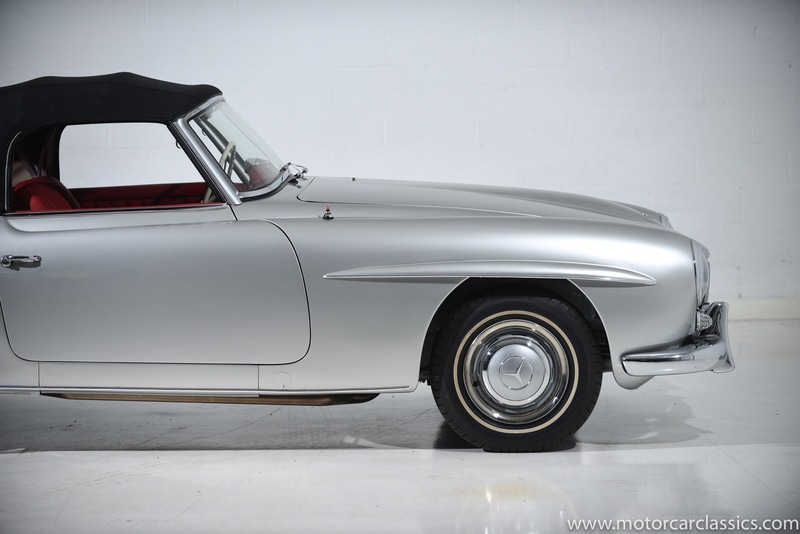 1959 Mercedes-Benz 190SL for sale. 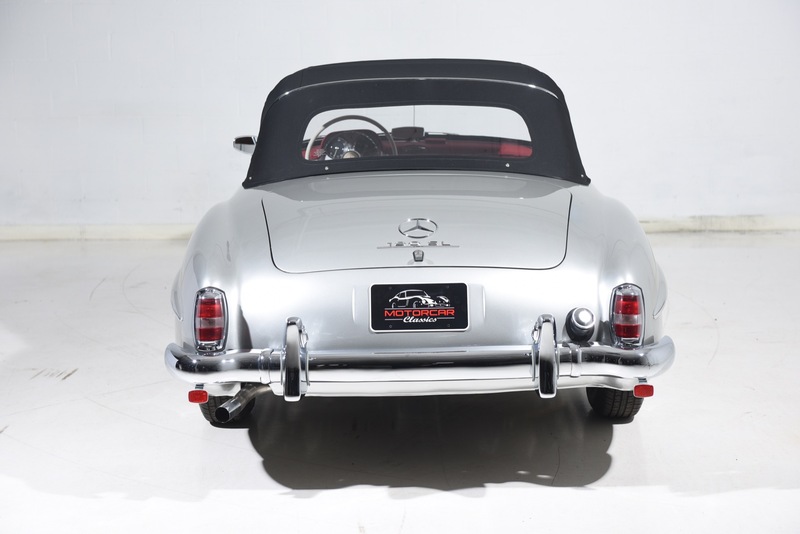 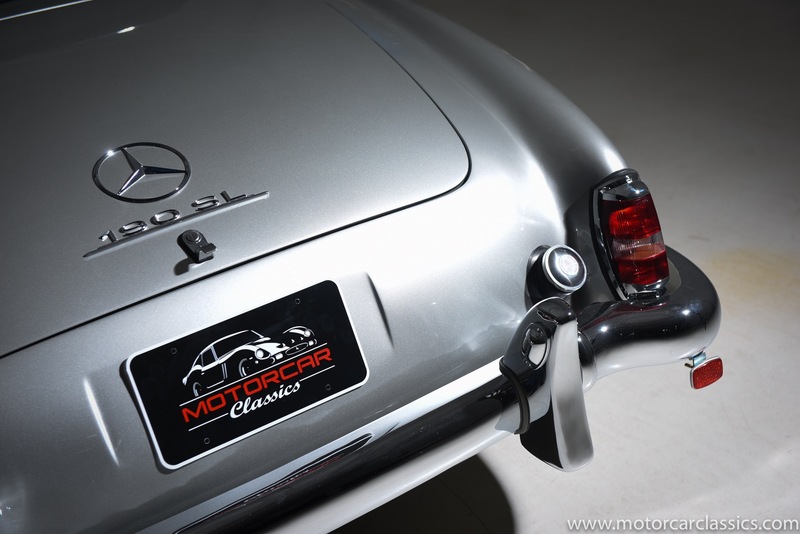 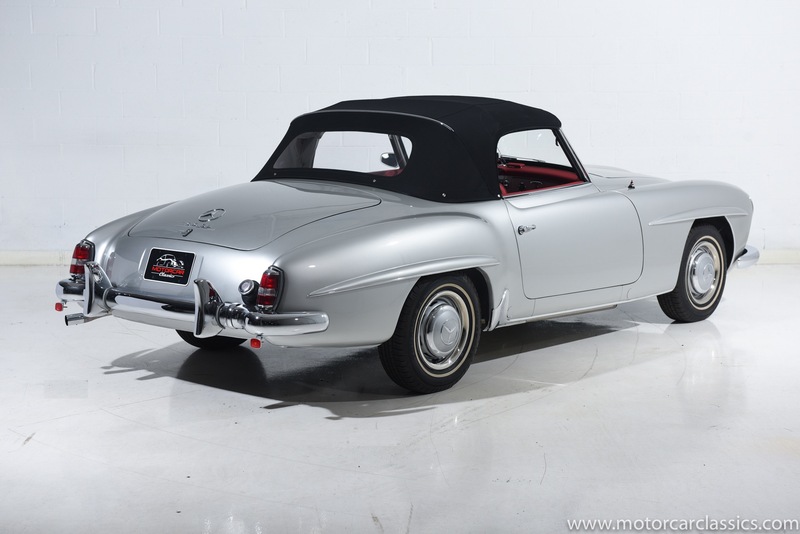 Motorcar Classics is proud to present this truly stunning 1959 Mercedes 190SL Roadster finished in Silver Metallic with Red leather interior and Black convertible top. 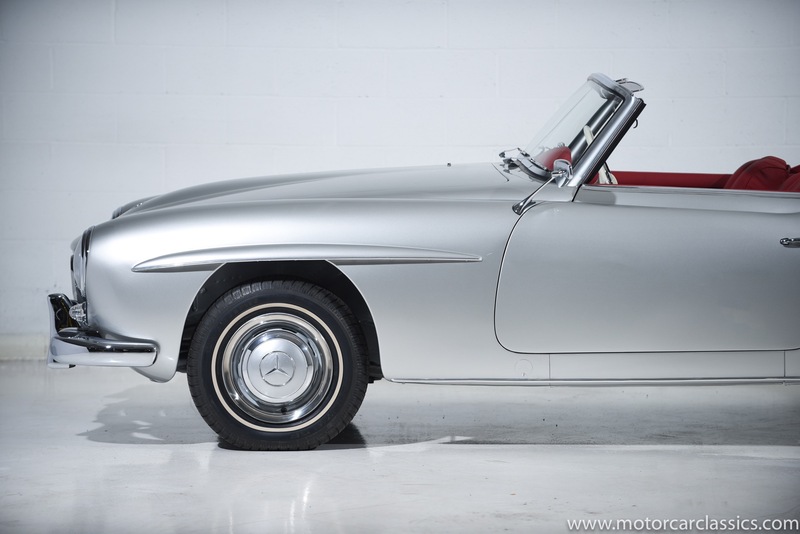 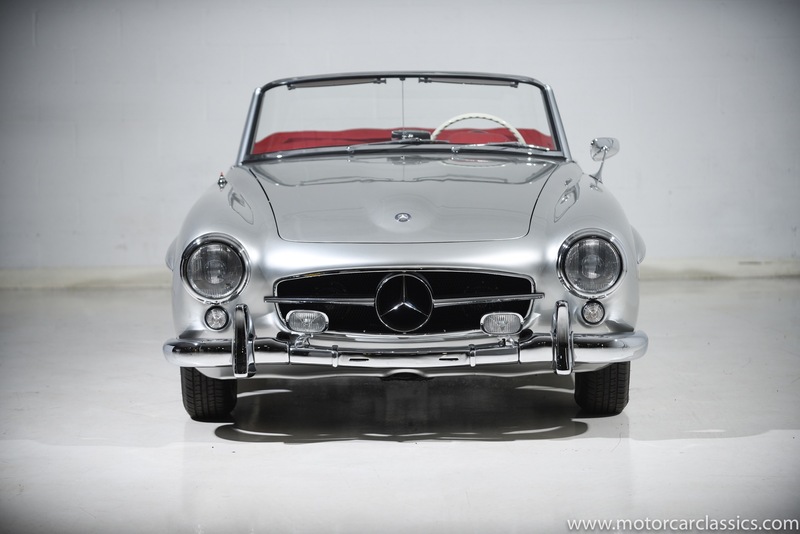 Without exaggeration, this 190SL is the best example we have been privileged to offer in many years. 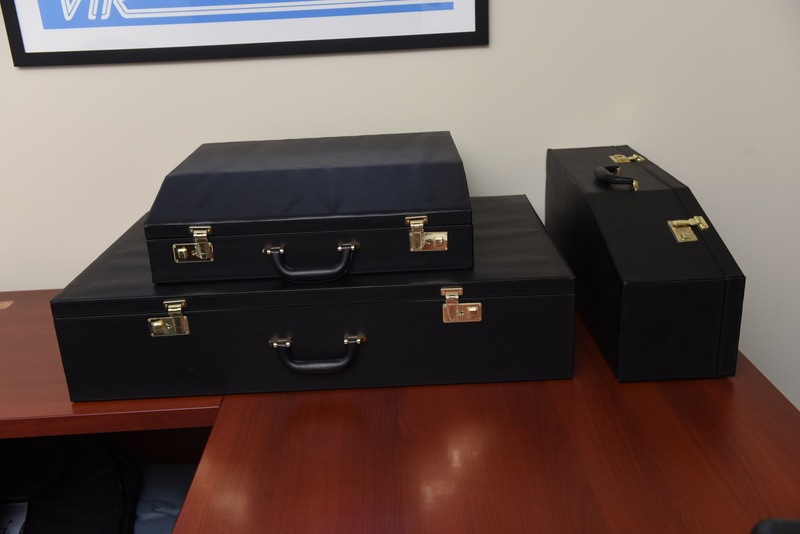 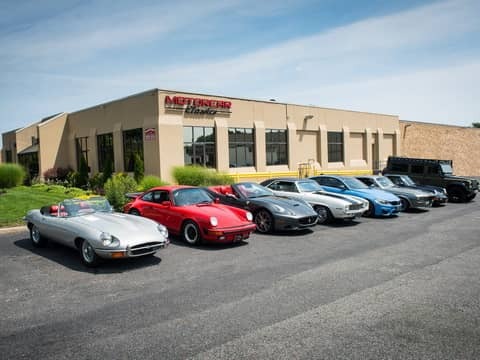 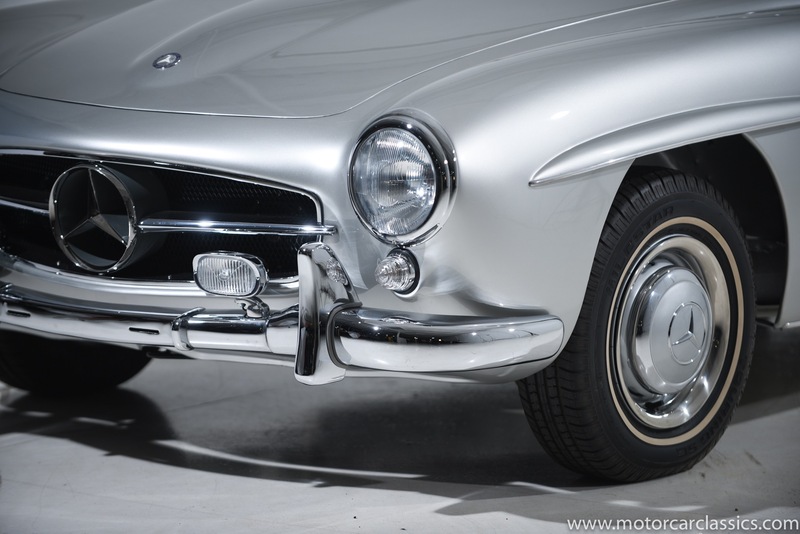 It comes to us from 43 years in the hands of one owner who just completed a total nut & bolt restoration that took three years at a cost of approximately $200,000. 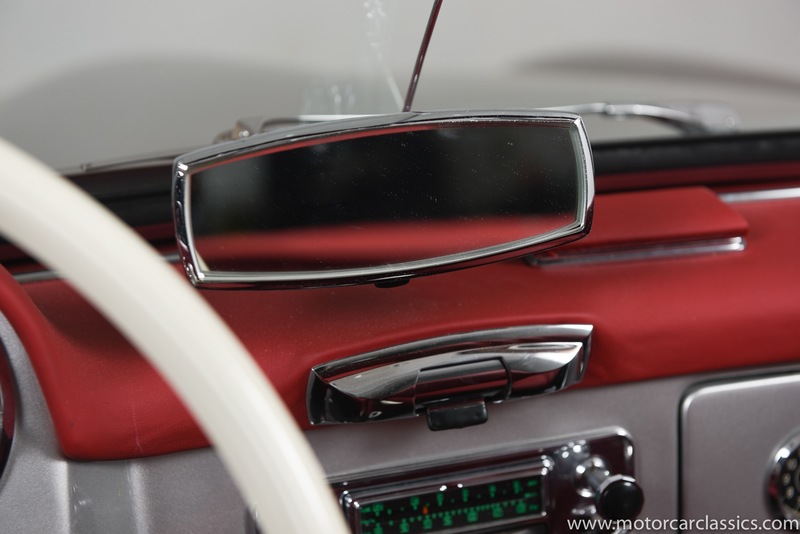 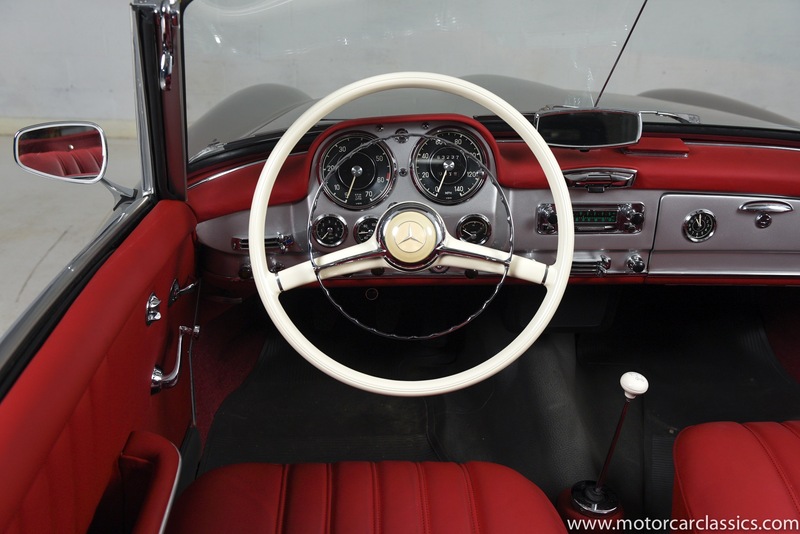 Prior history is known and the car comes with a substantial history file including photographic documentation of the restoration. 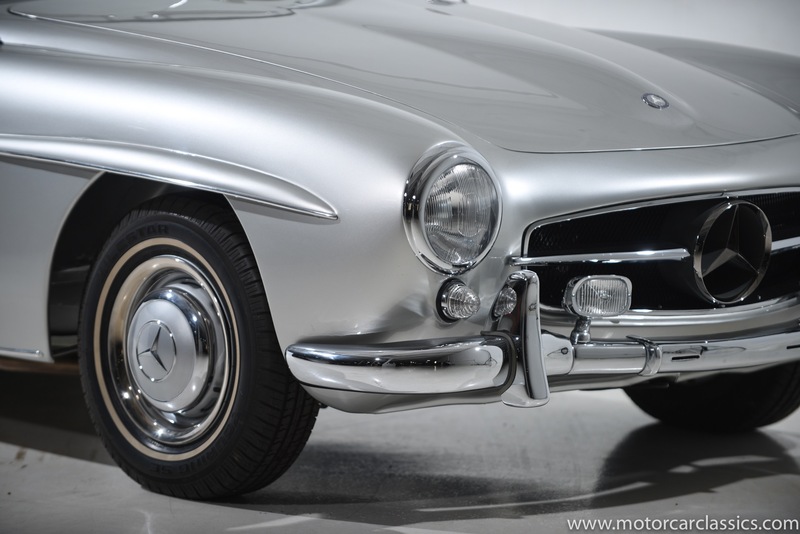 Look closely and you will see that everything is done to a jewel-like level of perfection to make the car equal or superior to when it left the factory. 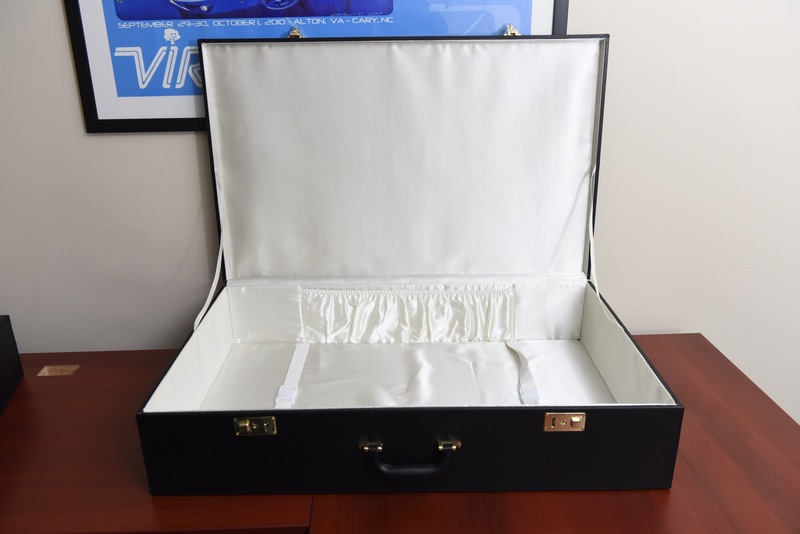 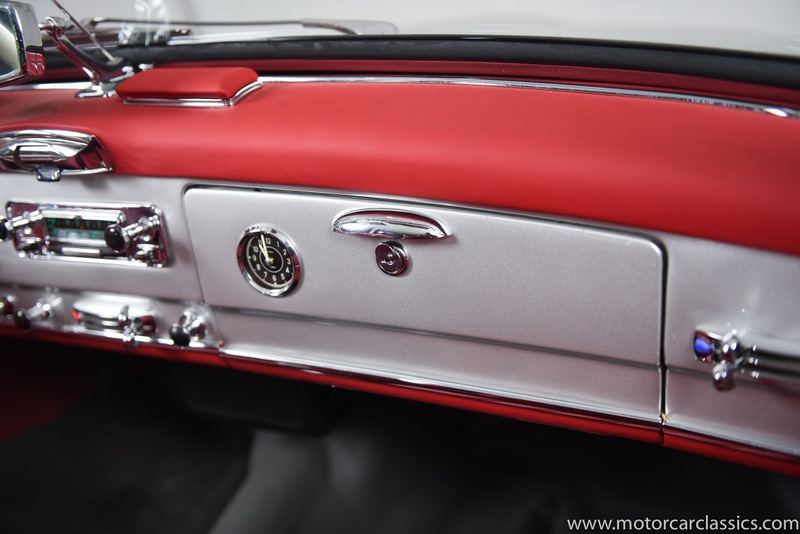 In addition to the huge provenance, the car includes a brand-new set of accessory fitted luggage. 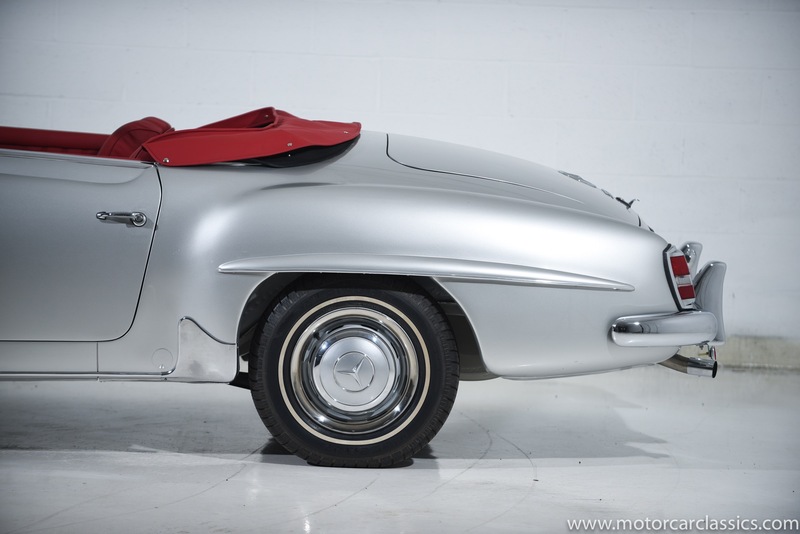 It will make a huge impression on a concours lawn and is a potential show champion. 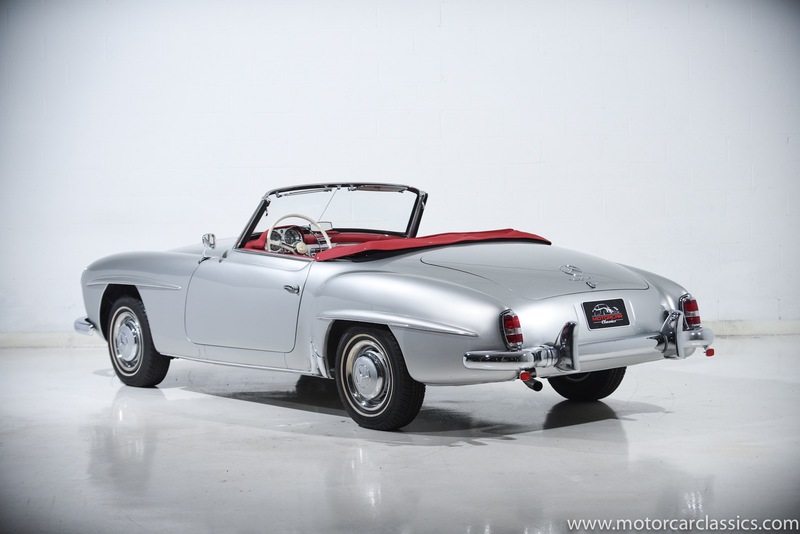 We know that on 9/7/1959 the brand-new 1959 190SL was Delivered to Daimler Benz Aktiengesellschaft Werk in Sindelfingen, Germany. 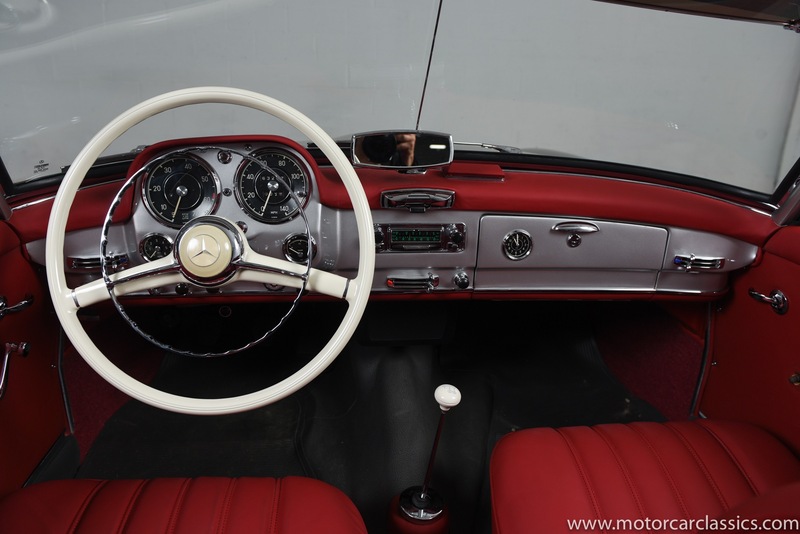 This 190SL is highly optioned with every option offered in 1959 including Rossi Red Leather, Becker Mexico Radio, Bosch Running Lights, Fender Mirror, Bumper Guards, Tool Set, Kinder Seats and Matching Luggage. 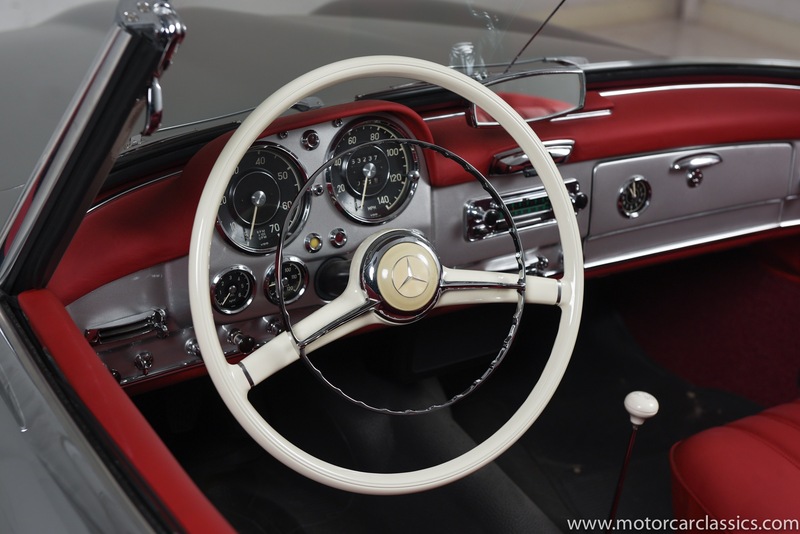 On 10/7/1959 the car was Registered to Gerard Helmecke, 808 Bordesholm, Holstein, Germany. 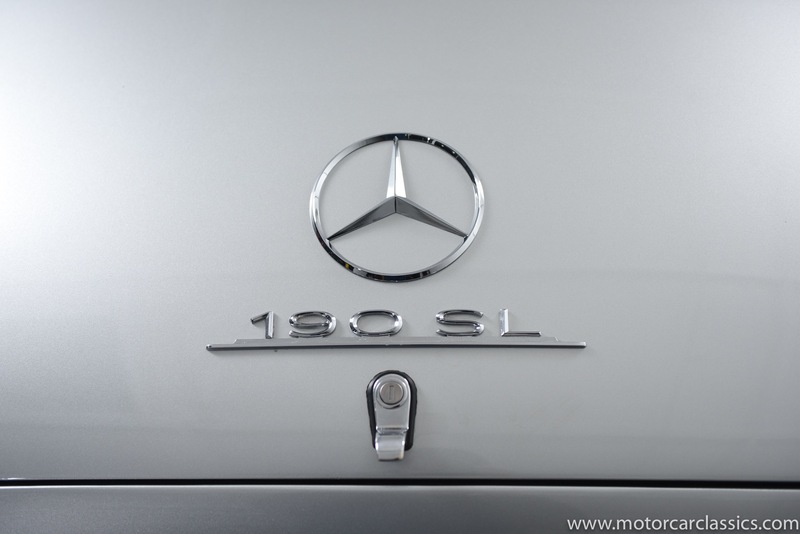 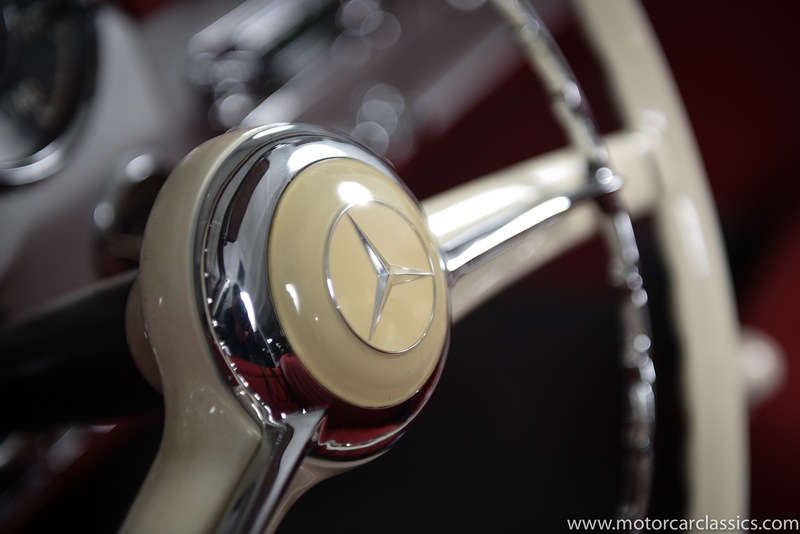 On 10/16/1963 the car was shipped to Benzel Busch Mercedes Motor Car Corp, 28 Grand Ave Englewood, New Jersey, who was and still is the Largest Mercedes Benz dealership in New Jersey. 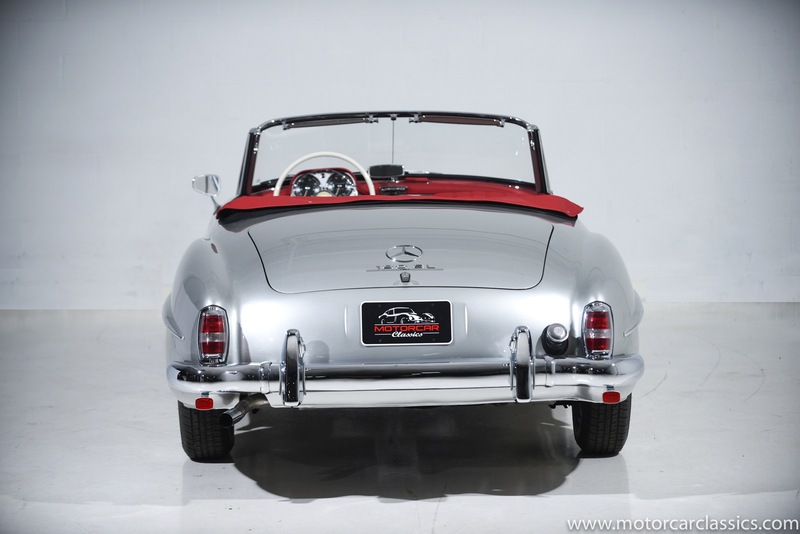 It was purchased by Russel Caulder from Long Island, New York. 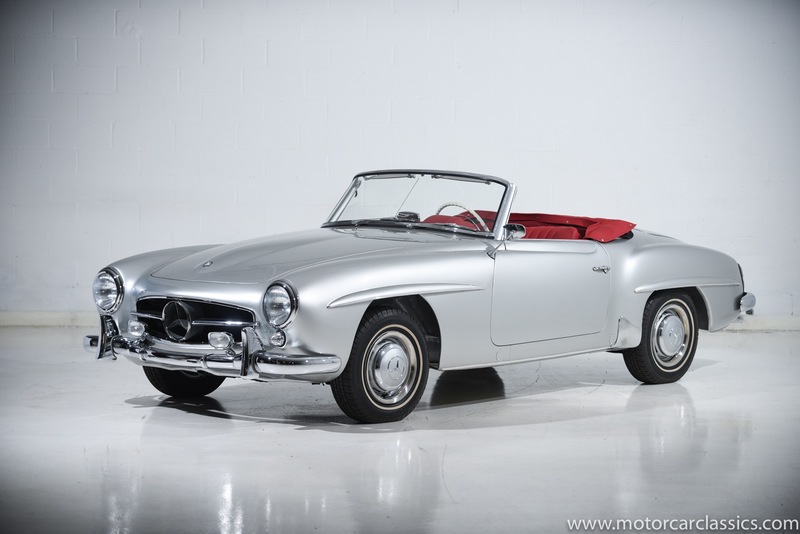 In August of 1976 the car was purchased by our client from an ad in the New York Times in honor of the first birthday of his daughter. 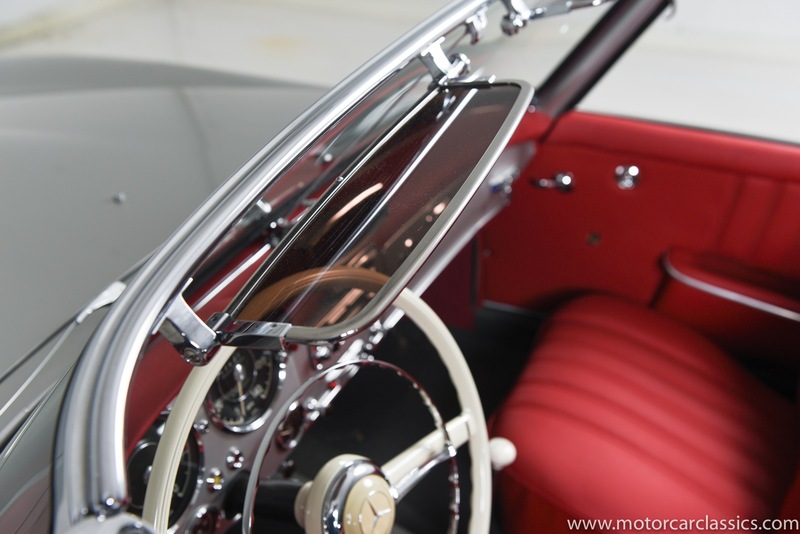 He owned the car since and three years ago embarked upon the epic restoration that results in this beautiful automobile. 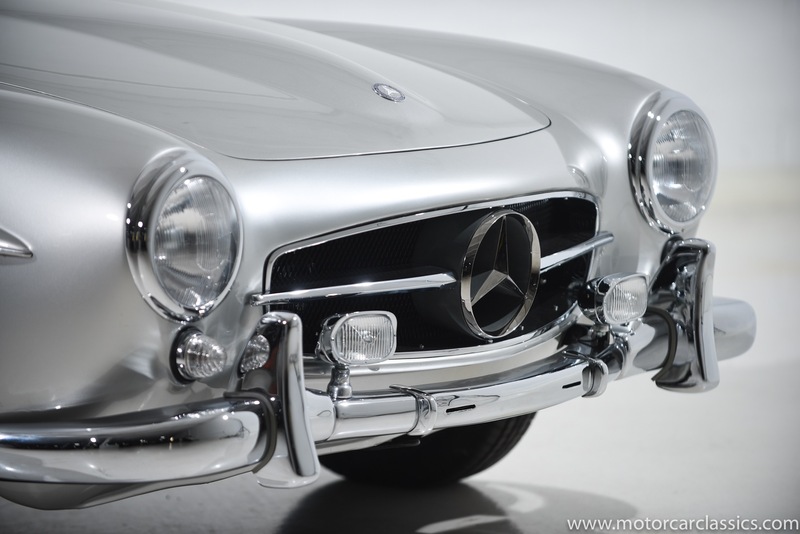 The 190sl went through an extensive,complete nut and bolt rotisserie restoration. 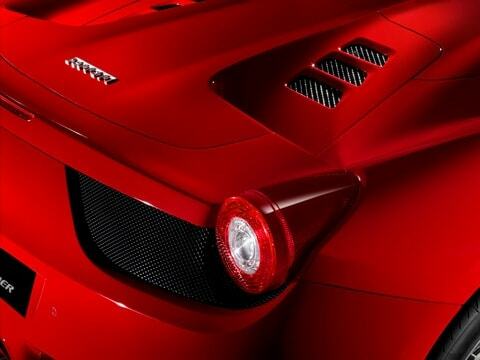 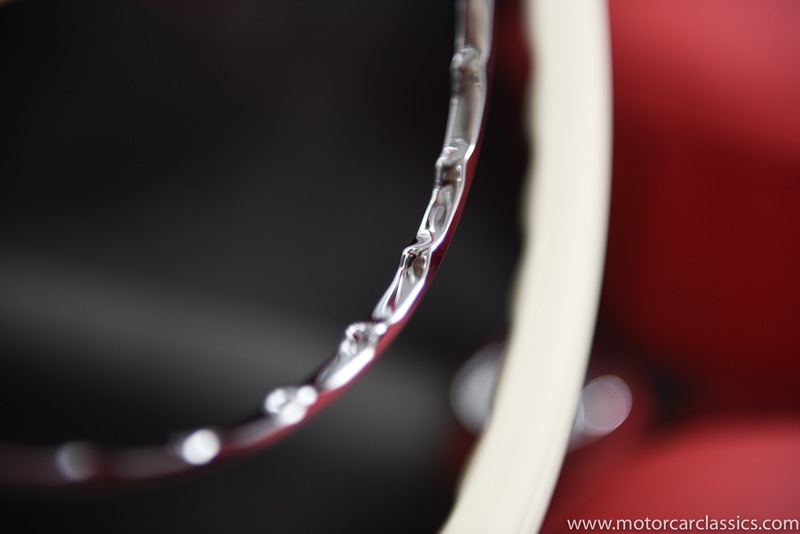 The body was meticulously stripped by new dustless liquid blasting that doesnt harm metal. 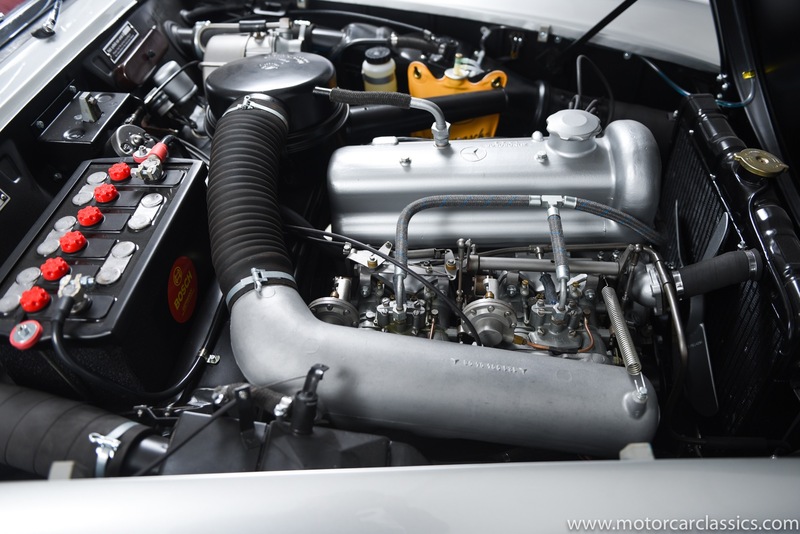 The engine and original Solex carburetors were restored and tuned to factory specification by German craftsmen. 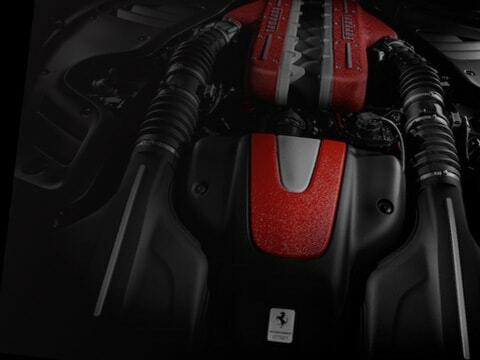 Every internal engine part is brand new. 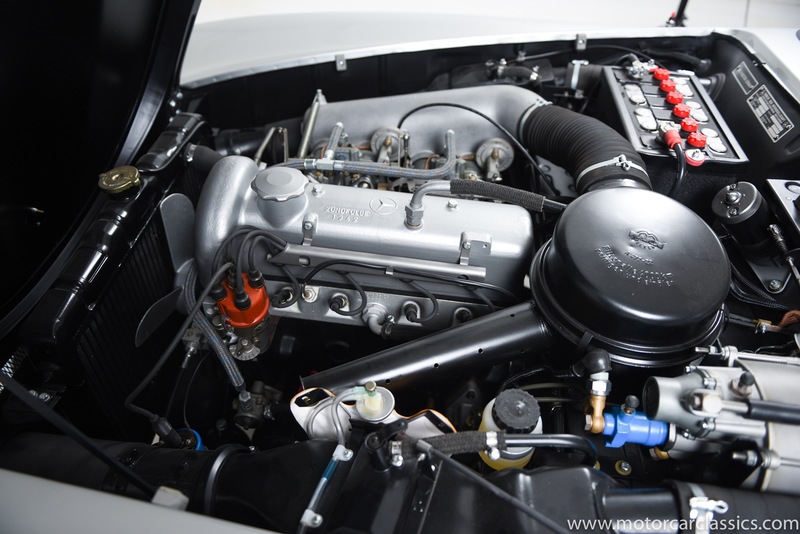 The original and unreplaceable air boxes were shipped to Poland and restored to as-new by expert craftsmen. 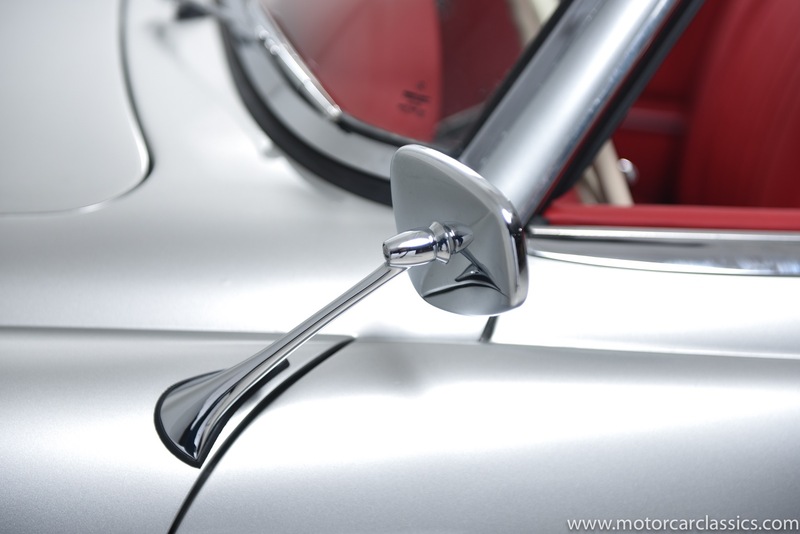 The headlights, fog lights, windshield wipers and other electrics are all Correct Bosch components. 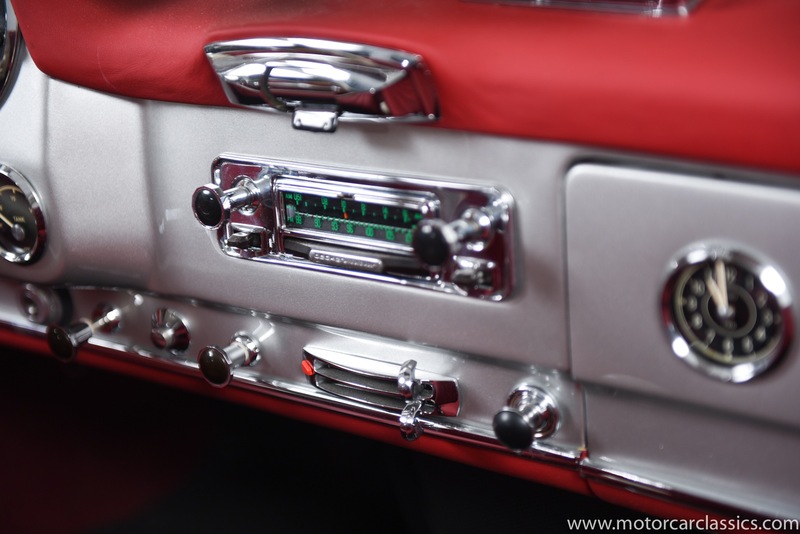 The original Becker Mexico radio was refurbished by technicians in England. 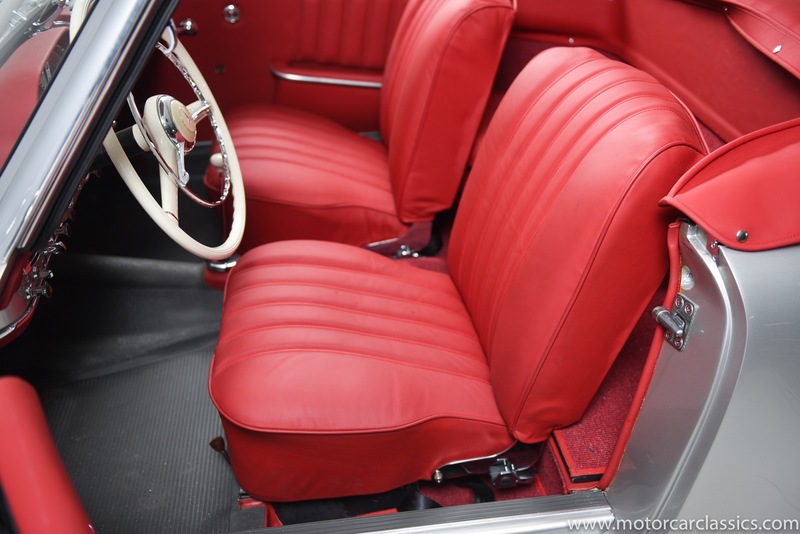 The transmission, rear end all suspension including springs, shocks, brakes are all restored to as-new condition. 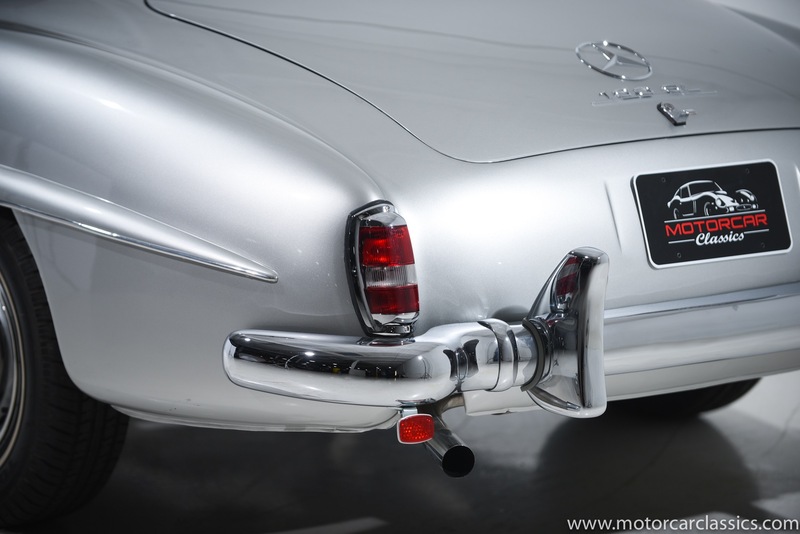 All Brake drums are numbered and original. 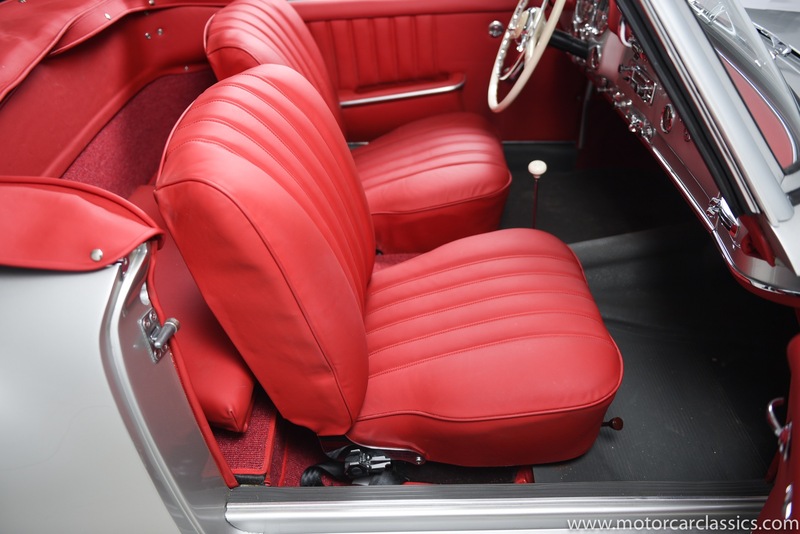 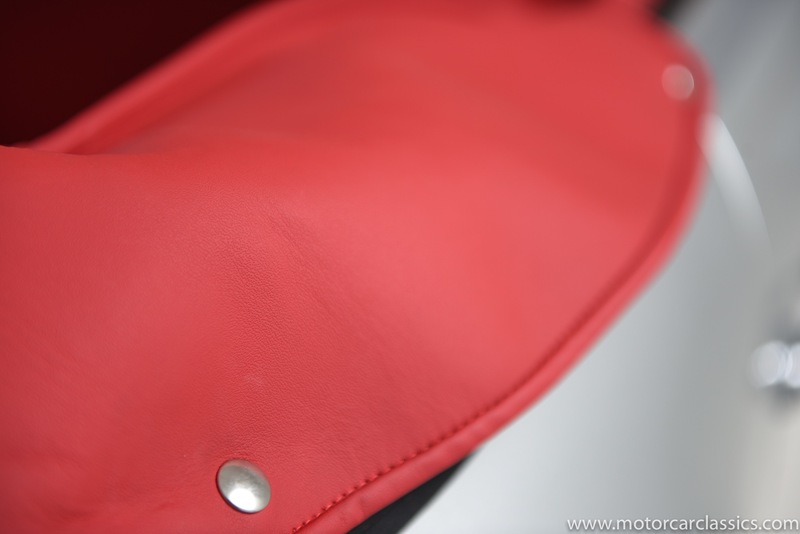 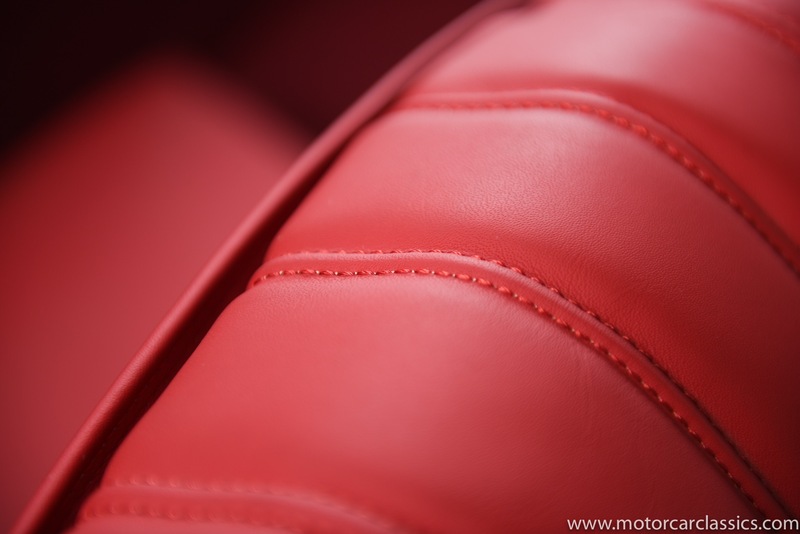 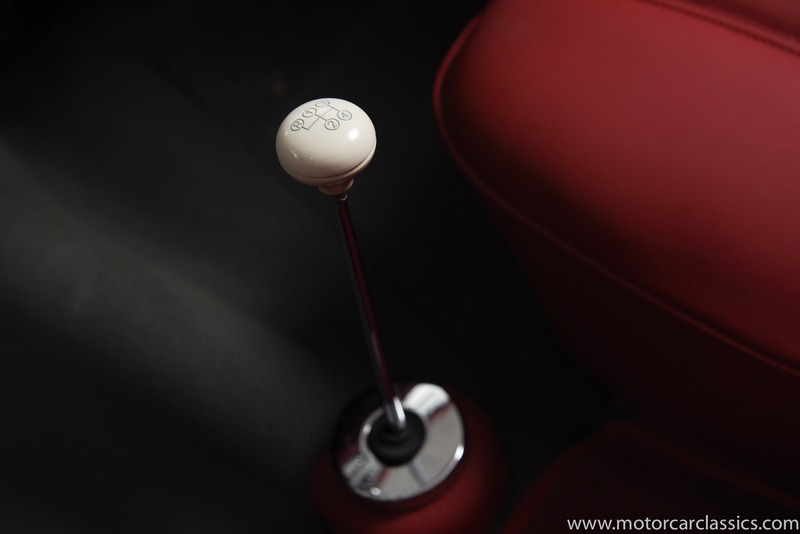 Correct Rosso Red leather was sourced from Mercedes original suppliers and used in the total interior restoration including the rare Kinder Seat. 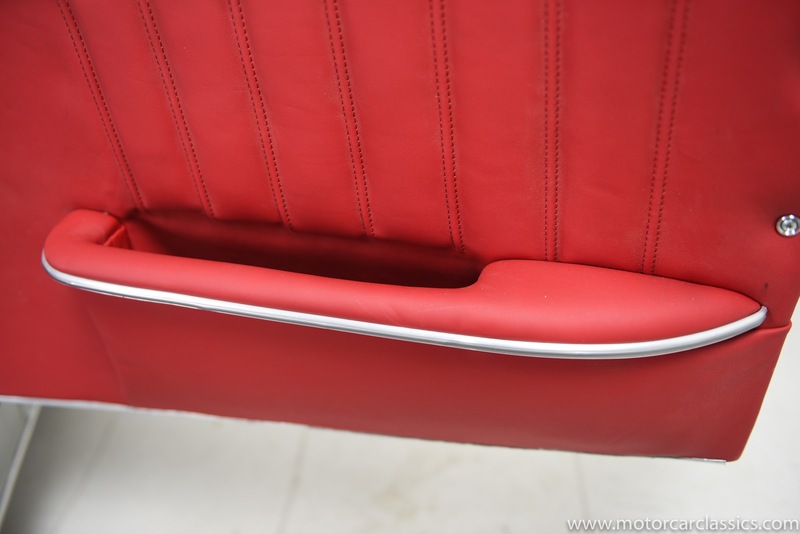 All seat frames were re-chromed and fitted with new springs and padding in all the seats cushions and backrests. 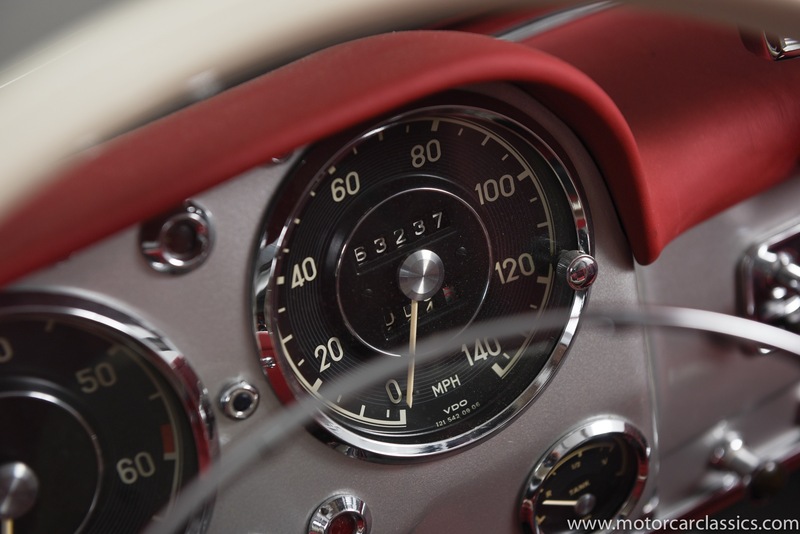 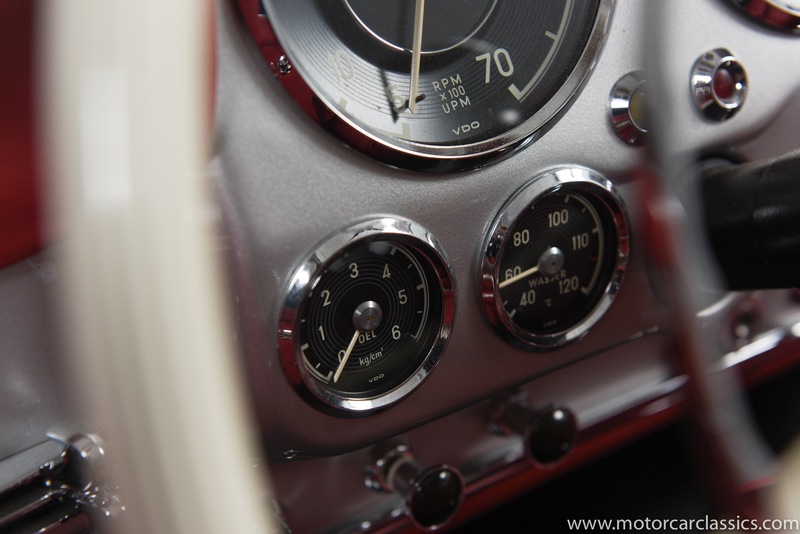 All the gauges were restored to as-new by Palo Alto Speedometer in California. 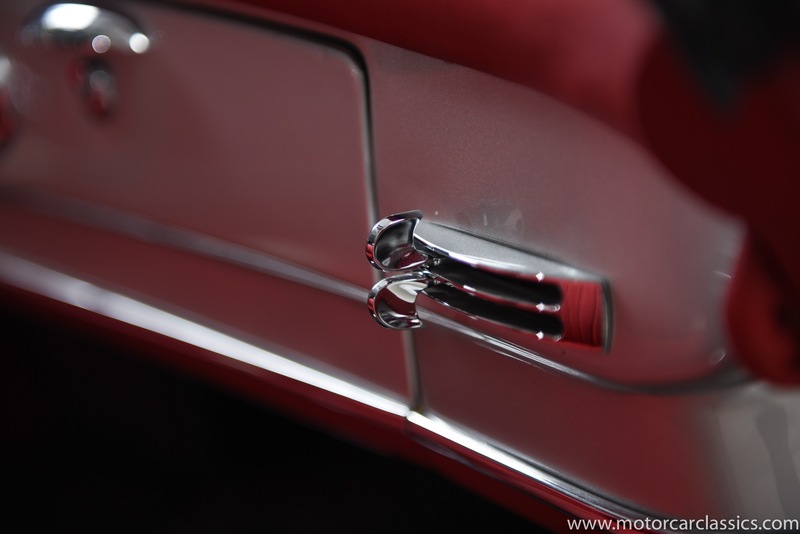 All the chrome was refinished to Show Chrome standards. 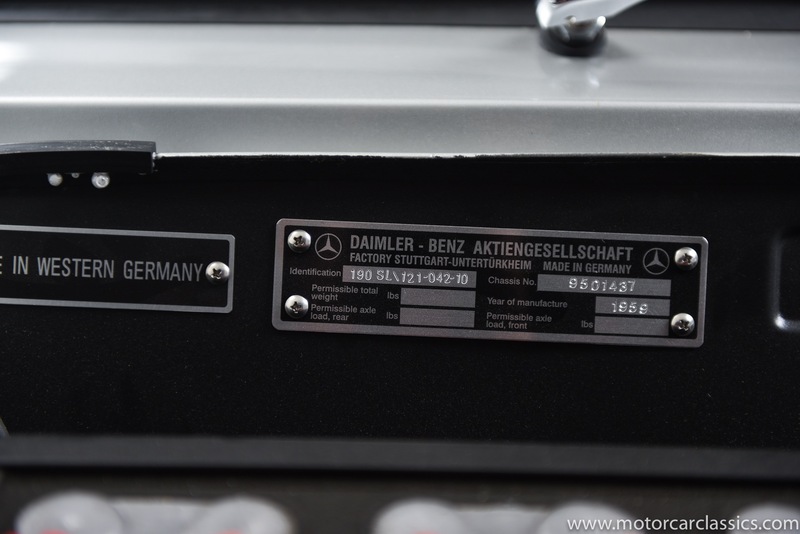 New correct German rugs. 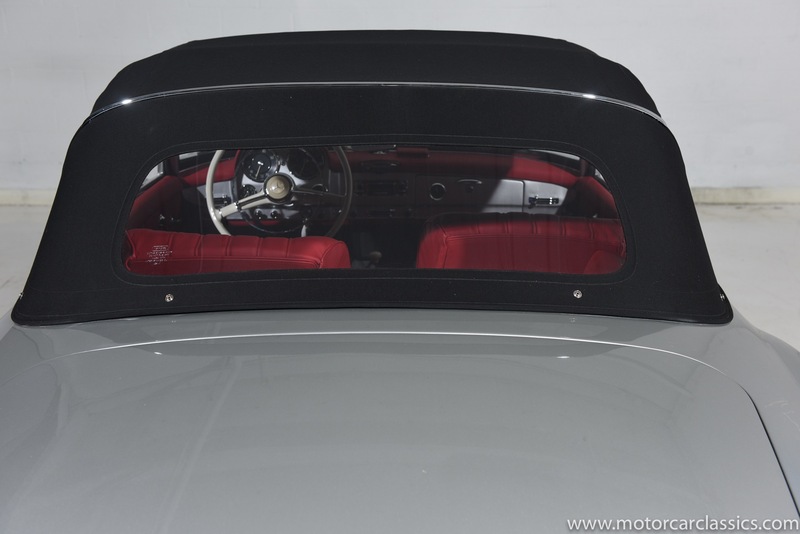 The top frame was refinished and fitted with a correct German Convertible top. 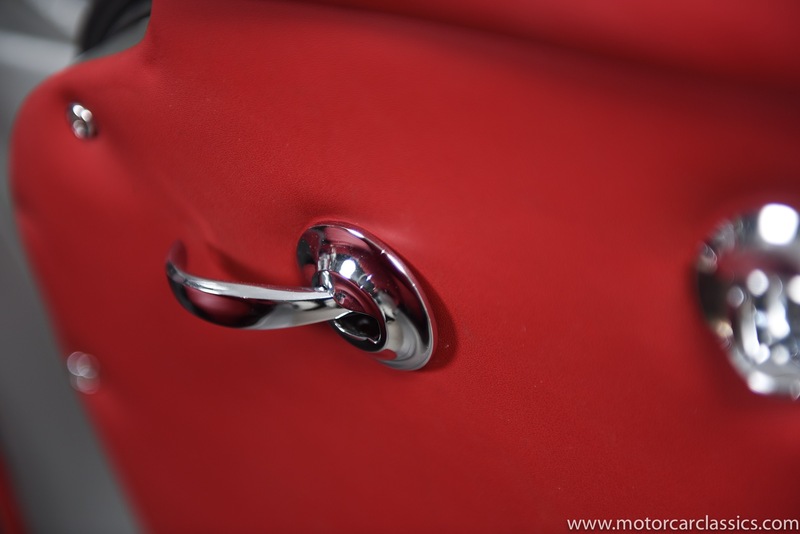 All bright work and badges are exceptionally polished. 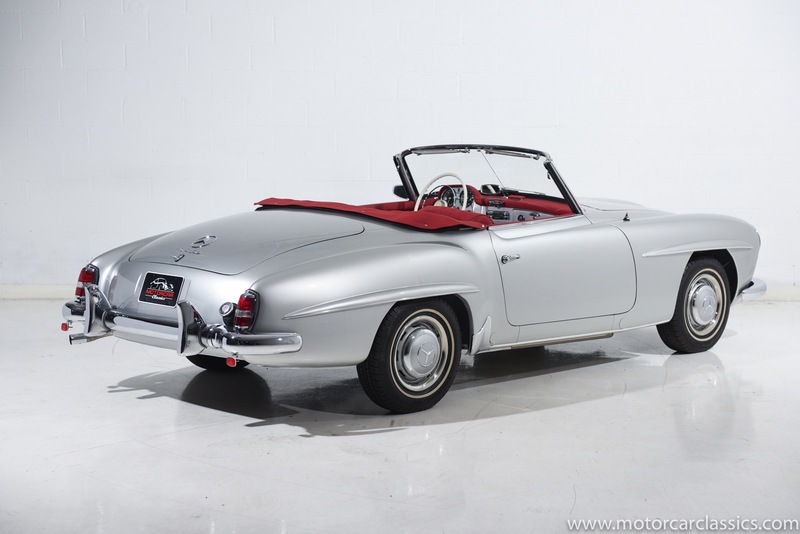 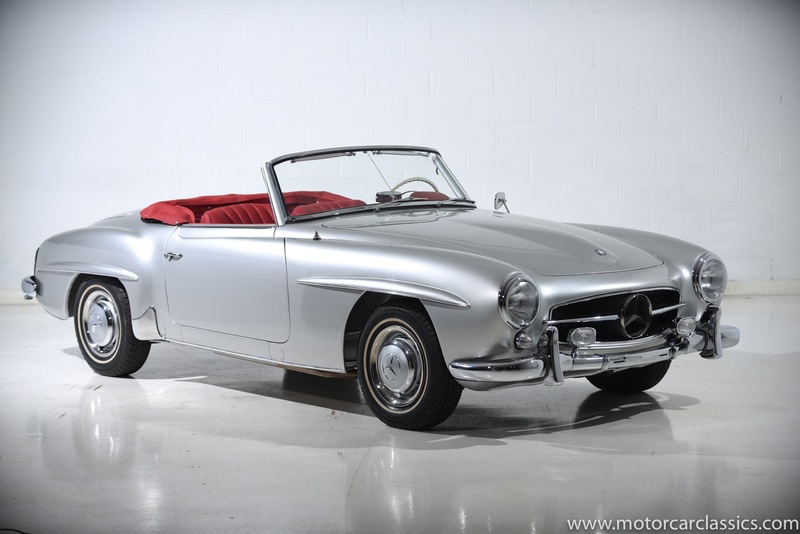 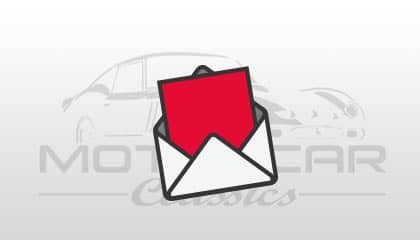 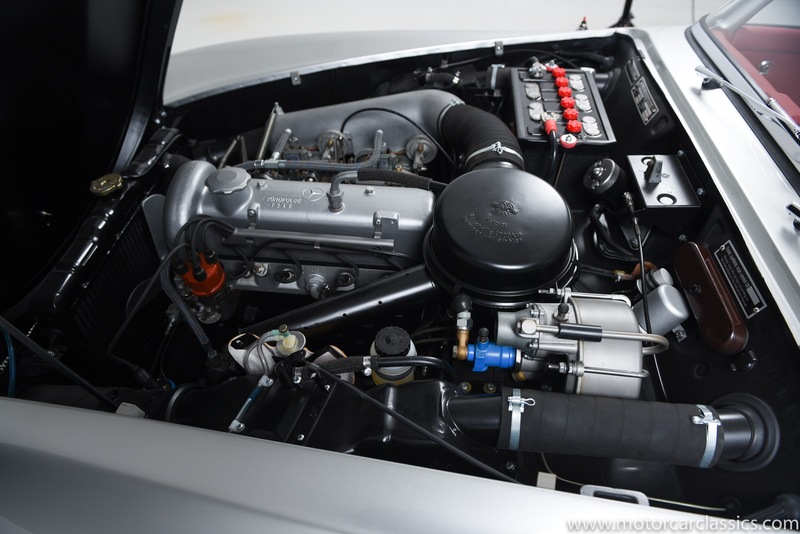 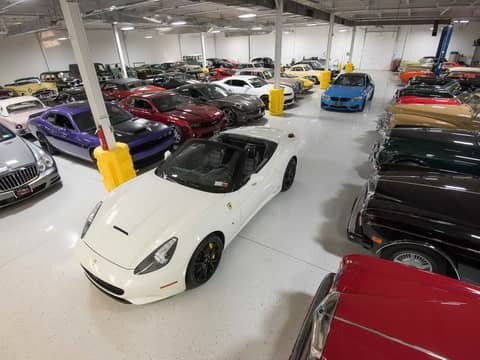 We do not believe you will find the equal of this 190SL and finding a restorable example and duplicating the effort put into this car would prohibitively expensive. 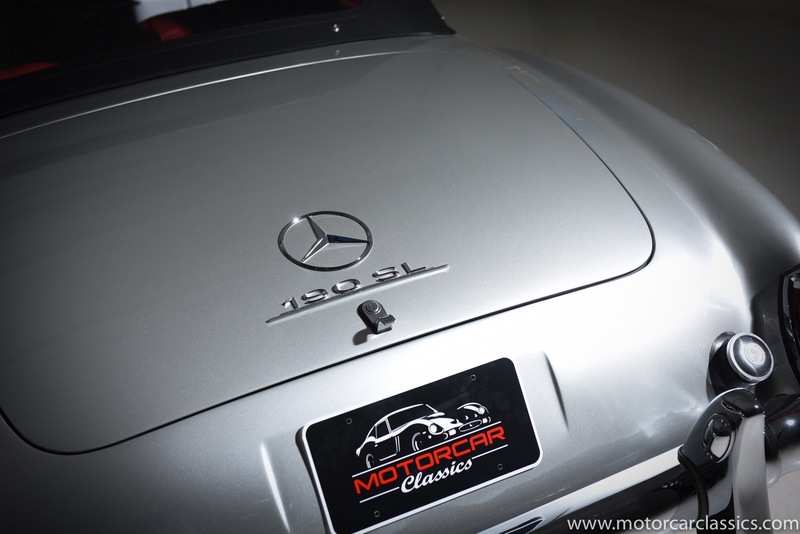 This is a car that will bring incredible pride of ownership and instant gratification to its next owner. 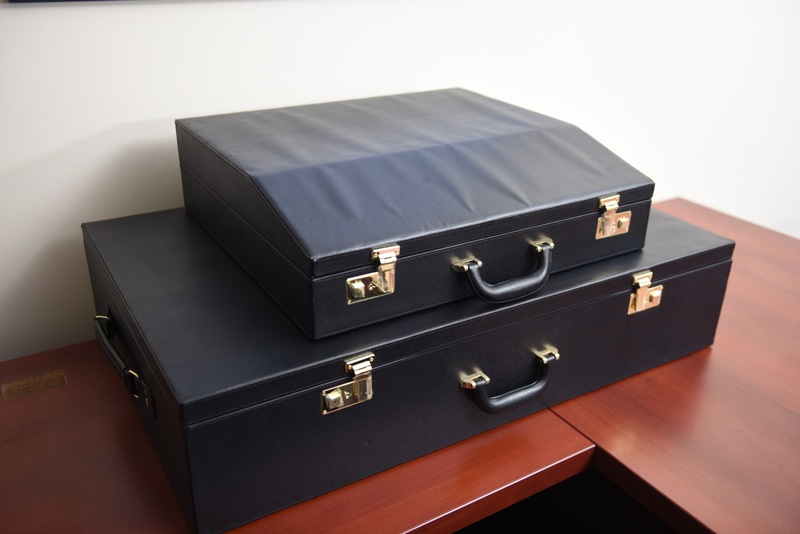 Independent expert inspection is invited.